Preheat the grill to its highest temperature. Flake the tuna into a medium bowl. Mix in the mayonnaise, celery salt, onion powder, garlic powder and red onion. Stir well and season to taste. Place the muffin halves on a grill tray and grill on both sides until lightly browned. Remove from the grill. Let cool for one minute, then spread each half with a little Tarantella Paste. 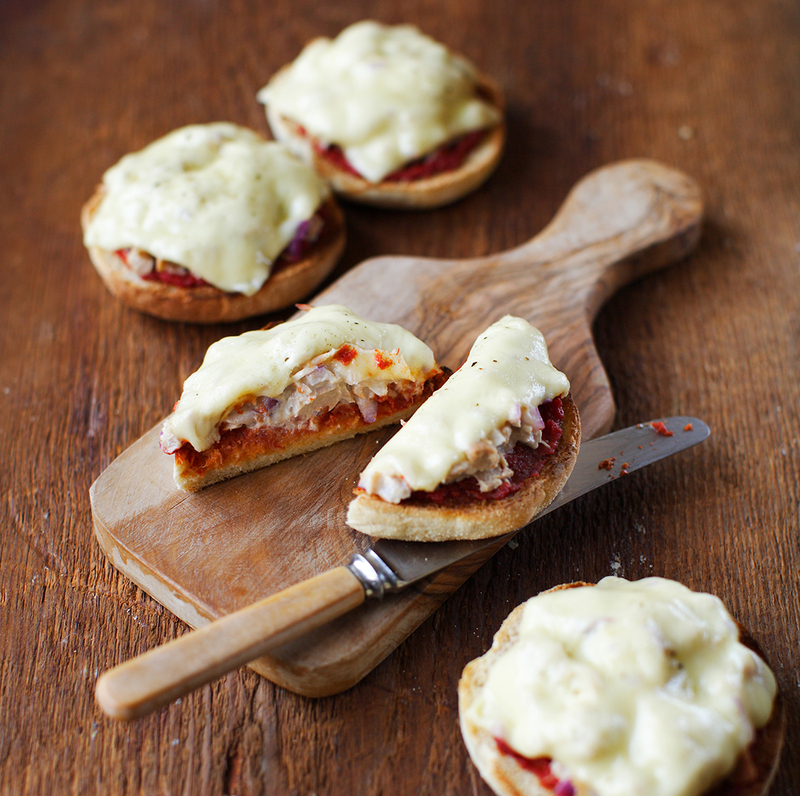 Spoon the tuna mixture onto each muffin half and top with a slice of cheese. Return to the grill and toast until the cheese has melted.